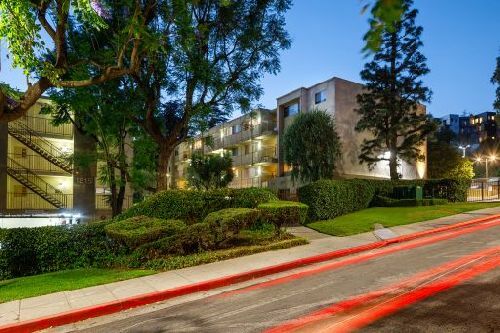 Morton Gardens, a 66-unit multifamily property in L.A.’s Echo Park neighborhood, sold for $25.5 mil, or $386.4k/unit. The asset, located at 1811-1825 Morton Ave, north of Sunset Blvd and east of Glendale Blvd, was purchased by an institutional investment fund. Built in 1972, Morton Gardens sits on just under three acres. The property’s central location near four major freeways — the 101, 110, 5, and 2 — gives residents a 15-minute commute to Hollywood, Downtown Los Angeles, Glendale, and Burbank. Morton Gardens offers views of Echo Park Lake and Downtown Los Angeles. It features a mix of one-, two- and three-bedroom layouts, two courtyards, controlled entry and covered parking. Joe Grabiec, Greg Harris and Kevin Green with Institutional Property Advisors, along with Paul Darrow of Marcus & Millichap, represented the buyer and the seller, a regional private investor.